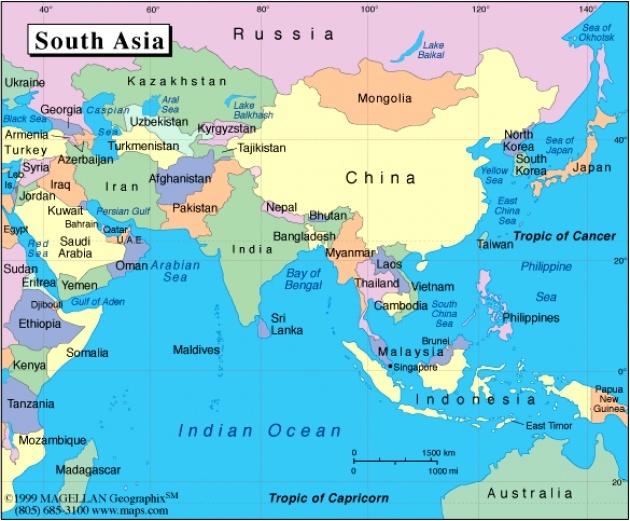 South Asia is located in the southern part of the Asian continent and is bounded on the south by the Indian Ocean. The South Asian Association for Regional Cooperation (SAARC) started in 1985 with seven countries Bangladesh, Bhutan, India, the Maldives, Nepal, Pakistan and Sari Lanka, but was extended to include Afghanistan as an eighth member in 2006. As well as it consists one fifth of the world's population. The largest spoken language in this region is Hindustani, its speakers are currently about 422 million. The second largest spoken language is Bengali, with about 210 million speakers. Urdu is also a major language spoken, especially in Pakistan and India. The countries that compose the south Asia are Bangladesh, Bhutan, India, the Maldives, Nepal, Pakistan and Sari Lanka. They are from the third world countries with poor economy situation. The people live in the above mentioned countries are poor. For example, only in India about 42% of children under the age of 5 suffer from malnutrition. Besides, some of their people do not enjoy educational facilities. For example, they do not have access to schools and hospitals and even do not have cozy homes to live in. The religions of the people of who live in the countries that has consisted South Asia are different. 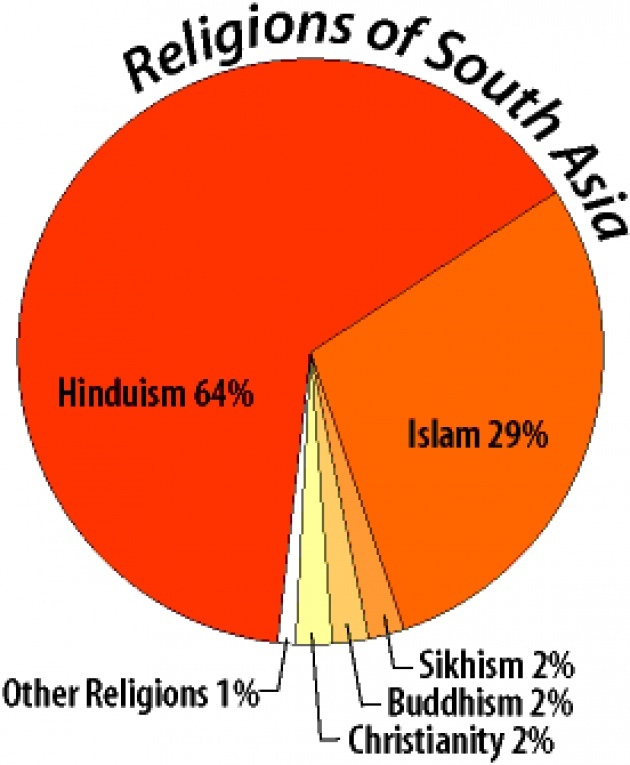 For example, about 64% of the South Asia population is Hindu, 33% is Muslim, 2% is Buddhist and 1% is Christians. In order to be improved the economy and education level of South Asian countries; not only other developed countries assist them, but also themselves try to help one another. For example, Afghanistan that itself needs help; it helps other south Asian countries when needed. Afghan Citadel Software Company is one of Afghan Software Company that is going to extend its educational activates in South Asian countries. It provides free internet classes for both boy schools and girls' schools.